I've always found the "RPG board game" to be a rather interesting genre of game. You've got the character customization and missions to accomplish like a tabletop RPG. You've also got a board and often various mechanics like a board game. If they're cooperative, you don't have to worry about singling someone out to be the "bad guy" or to have to take on the duty of playing all the monsters while everyone else gets their cool characters. 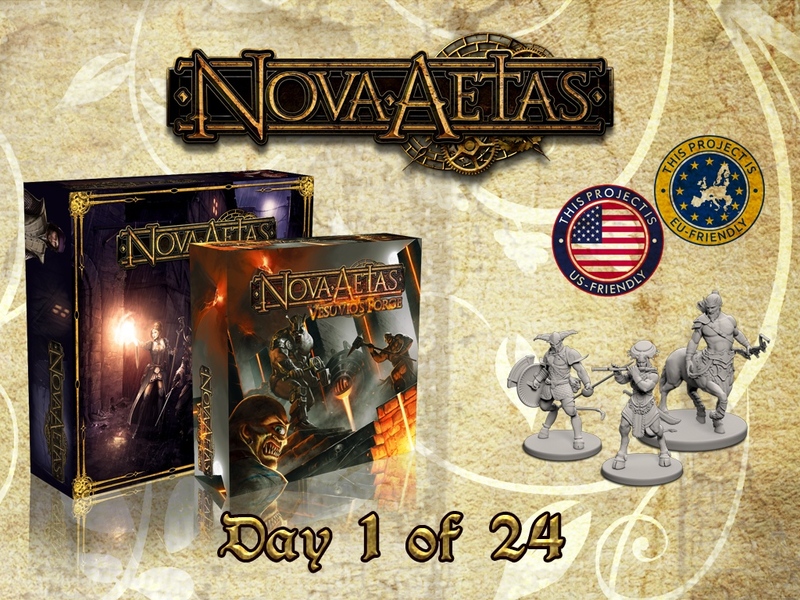 All of those aspects come into play with Nova Aetas: Dark Renaissance, up on Kickstarter now. 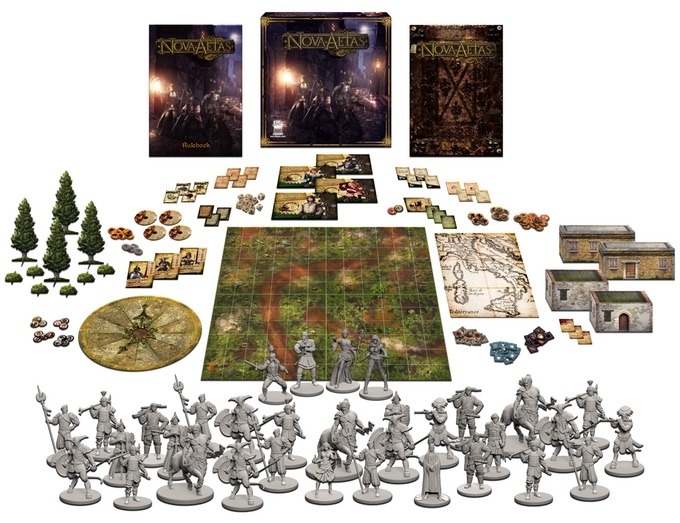 The game world is inspired from an alternative Renaissance world. As for the gameplay, it's something akin to Final Fantasy, with roving monsters and quests and turn-based attacks. The enemies are all controlled automatically, so the game is 100% cooperative. Besides the base pack, there's also extra adventure packs with extra monsters and quests you can purchase to expand your game. The campaign just launched and is set to run for another 23 days.